Since 1994, the Alumni Achievement Awards have recognized Bloustein School alumni who have made exemplary contributions to their professions and communities, while demonstrating support of the Bloustein School.The purpose of the Bloustein School Alumni Hall of Fame, inaugurated in 2013, is to showcase and honor the current and all previous recipients of the Alumni Achievement Awards whose personal and professional accomplishments have been of the highest caliber and brought credit to the school. Tickets to the event are complimentary; we suggest a $25 donation to the Bloustein School Alumni Association Endowed Graduate Fellowship in Planning or another Bloustein fund of your choice. 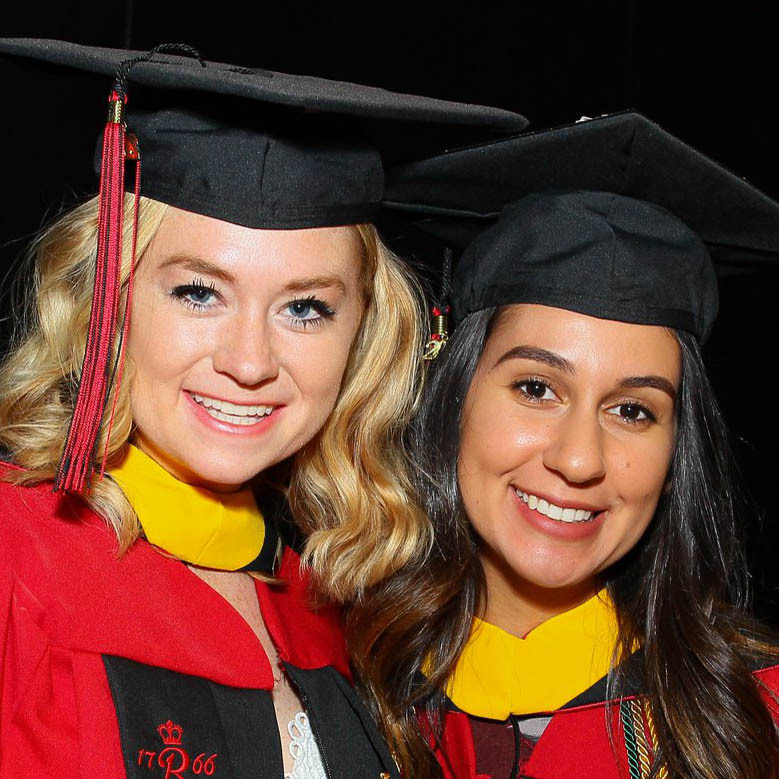 If you are unable to attend the event but would like to make a donation, we suggest a $25 donation to the Bloustein School Alumni Association Endowed Graduate Fellowship in Planning or another Bloustein fund of your choice by visiting the Rutgers Foundation website. Aaron R. Fichtner, Ph.D. was sworn in as Commissioner of the New Jersey Department of Labor and Workforce Development by Governor Chris Christie on June 5, 2017, after having served in an acting role since September 2016. Dr. Fichtner brings extensive workforce and economic development experience to his new role. 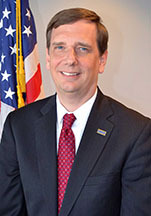 Dr. Fichtner has been with the Department of Labor and Workforce Development since 2010, most recently serving as Deputy Commissioner, where he directly oversaw the department’s program areas including Workforce Operations and Business Services, Workforce Development and Economic Opportunity, Research and Information, Income Security, and Labor Standards and Safety Enforcement. In that role, Dr. Fichtner led the department’s efforts to develop a strategic vision and direction for workforce and talent development in New Jersey and to implement all four titles of the federal Workforce Innovation and Opportunity Act. He focused the department’s workforce investments on the needs of employers in the state’s key industries. Additionally, he led the development of seven industry-focused Talent Networks responsible for building high-quality, employer-driven partnerships across the state. Under Dr. Fichtner’s leadership, the department has expanded services to jobseekers through partnerships with employers, community colleges, libraries, and community-based organizations and strengthened connections between unemployment insurance and reemployment services. He also worked to modernize the state’s unemployment insurance program through technology enhancements and improved processes. He has strengthened the use of data throughout the department by developing new performance metrics, implementing a workforce longitudinal data system, and developing industry-focused labor market information. 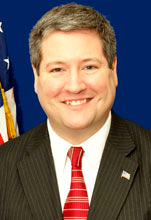 Prior to assuming the role as Deputy Commissioner in January 2012, Dr. Fichtner served as the department’s Assistant Commissioner for Labor Planning and Analysis. Before joining the department in 2010, Dr. Fichtner was the Director of Research and Evaluation at the Heldrich Center for Workforce Development at Rutgers University. In that role, he conducted extensive research on the workforce and skill needs of key industries, implemented a variety of workforce and education initiatives, and conducted evaluations of education and training programs. He has also worked in the field of economic development in Jersey City and Atlanta. Dr. Fichtner currently serves as Chair of the National Association of State Liaisons for Workforce Development Partnerships, the workforce development committee of the National Governors Association. He previously served as chairman of the Labor Market Information Committee of the National Association of State Workforce Agencies, where he currently serves as a board member. In March 2016, Dr. Fichtner was appointed to the U.S. Department of Labor’s Workforce Information Advisory Council which is advising the Secretary of Labor and the Commissioner of the Bureau of the Labor Statistics on the use of workforce and labor market information. 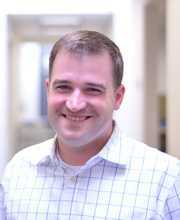 Dr. Fichtner earned a Ph.D. in Planning and Public Policy from Rutgers University, a Master’s degree in City Planning from the Georgia Institute of Technology, and a B.A. in History from Vassar College. Jeff Gutman has had an extensive career in international economic development. After serving as a transportation consultant in Honduras for three years and participating in the U.S. Congressional National Transportation Policy Study Commission, Jeff joined the World Bank in 1979. Through his 31 years at the Bank, he has served in various operational, policy and managerial positions with a particular focus on transport and urban initiatives mainly ranging across Latin America and East Asia and the Pacific. From Argentina to Guatemala and from Vietnam to Timor-Leste, Jeff was involved in an extensive list of sectoral policy reforms, infrastructure investments and institutional development efforts. From 2007 until his retirement from the Bank in 2010, Jeff served as Vice President for Operational Policy and Country Services. He was responsible for overseeing the Bank’s lending operations and related policies, governance reforms regarding corruption, transparency and procurement as well as environmental and social safeguard policies. Since 2013, Jeff has been a Senior Fellow at The Brookings Institution in Washington, D.C. He has been leading a research effort on urban accessibility, promoting a cross-disciplinary approach to transport, land use and fiscal/financing factors affecting inclusive urban access. His writings also cover issues in infrastructure finance and public procurement. 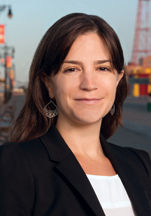 As the President and CEO of the Housing and Community Development Network of New Jersey, Staci Berger directs this statewide association of over 150 community-based development organizations, created in 1989 to enhance the efforts of these groups to create affordable housing and revitalize their communities, and to improve the climate for community development in New Jersey. Before becoming the President and CEO, Staci served as the Director of Advocacy & Policy. In this role she was responsible for leading the community development policy staff team, including working with the Policy Coordinator and field organizers, to broaden and mobilize support for the Network’s public policy agenda. Prior to joining the Network, Staci worked for nine years with New Jersey Citizen Action where she went from being an organizer to the Political and Legislative Director. As the Political and Legislative Director, she devised and implemented political, legislative, and electoral strategy for the state’s largest non-profit, non-partisan independent watchdog coalition. She received her Masters in Public Affairs and Politics from the Edward J. Bloustein School of Planning & Public Policy, Rutgers University, in 2004. 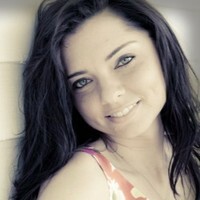 Staci earned her Bachelor of Arts from Livingston College, Rutgers University in 1994. During her undergraduate time, she was a leader in student government and campus organizations, including fighting for lower college costs. Staci has served as an associate trainer for the Midwest Academy, the national training institute for the progressive movement, and worked as a labor organizer with the AFL-CIO Organizing Institute and the Health Professionals and Allied Employees/AFT/AFL-CIO. She is regular presence in state and national media outlets and has had multiple appearances on MSNBC. In 2016, Staci she was honored as a change maker by the NJ General Assembly during Women’s History Month. She lives with her husband and two sons in Piscataway, NJ, where she works with her neighbors to make her community even better. Jill Edwards Resnick is a community development investment banker, professionally certified economic developer and former urban planner who recently joined Charles Schwab as Director of Community Development Investments. Immediately prior to that, Ms. Edwards Resnick was a Senior Vice President and originator of Low-Income Housing Tax Credit (LIHTC) investments for Bank of America Merrill Lynch, where she authored a white paper on supportive housing that led to a significant and sustained increase in the Bank’s supportive housing investments. Ms. Edwards Resnick formerly served as Director of Merrill Lynch Community Development Company (MLCDC) where she managed the firm’s tax credit investments, including LIHTC and NMTC. Prior to joining Merrill Lynch, Ms. Edwards Resnick served as Acting Director of Economic Development and Economic Development Planner in Trenton, New Jersey and as a contractor for the New Jersey Office of State Planning. Earlier in her career, Ms. Edwards Resnick ran a downtown redevelopment program in New Jersey and worked in institutional sales for an investment banking firm in New York City. Ms. Edwards Resnick graduated Phi Beta Kappa and with High Distinction from the Pennsylvania State University and holds a Master of City and Regional Planning from Rutgers University. She is a Leadership New Jersey Fellow and certified Economic Development Professional and was a Professional Planner and member of the AICP. She was the recipient of the YWCA of Trenton’s Woman of Achievement Award, was an honoree for her advocacy work in supportive housing by New Destiny Housing Corporation, and her work at Bank of America earned the Bank a Private Sector Partner of the Year Award from the Supportive Housing Network of New York. 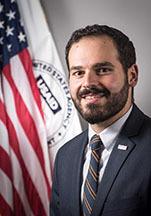 Zaid Abuhouran currently serves as a West Bank and Gaza Desk Officer at the U.S. Agency for International Development (USAID). He joined USAID in 2016 and oversees the West Bank and Gaza Mission’s development work and policy objectives from Washington, DC. In his role, he coordinates with the Agency at-large, the Department of State, the National Security Council, Congress, and external stakeholders to ensure that the Mission’s priorities and equities are represented. Before joining USAID, Abuhouran managed federal-level education programs, grants, and policy initiatives for several state-level education departments through the U.S. Department of Education’s Office of Elementary and Secondary Education, including for his home state, New Jersey. Abuhouran joined the federal government as a Presidential Management Fellow in 2014. Prior to his government service, Abuhouran taught high school biology and Advanced Placement (AP) biology for two years at Paul Laurence Dunbar High School in Baltimore City through Teach For America, where his students saw exponential gains in their Maryland state and AP test scores. At Dunbar, he started the faculty-led College Going Culture Committee to establish a school culture that promotes college readiness among students. He also served as faculty advisor to the Student Governing Association, and worked with students to establish a discussion group to support LGBTQ students. Abuhouran holds a Master of Science in Education degree from Johns Hopkins University and a Bachelor of Science degree in Public Health and Political Science from the Bloustein School and the School of Environmental and Biological Sciences (SEBS) at Rutgers University. As an undergraduate at Rutgers, he was the founding and two-year President of the SEBS Governing Council, overseeing the council’s transformation from the Cook Campus Council and its new management of student activity funds. He was a student assistant at Rutgers’ Eagleton Institute of Politics throughout his undergraduate career. Abuhouran was also involved with Rutgers Dance Marathon, a member of Chi Psi Fraternity, and was tapped as a member of the Rutgers Cap and Skull Senior Honor Society. Jeffrey Crum is the Director of Real Estate for Community Asset Preservation Corporation (CAPC); a non-profit community real estate development organization focused on neighborhood revitalization and affordable housing creation primarily through the acquisition of vacant and foreclosed single-family homes. The organization is an affiliate of New Jersey Community Capital, New Jersey’s largest CDFI with nearly $600 million in capital under management. As Director of Real Estate, Mr. Crum oversees all of CAPC’s operations, which includes real estate development, asset management, construction management, property management, real estate brokerage services. CAPC’s primary mission involves the acquisition and rehabilitation of abandoned and foreclosed properties to stabilize communities and create quality affordable housing options. The non-profit company also acts as an equity investor and development partner on larger multi-family and commercial projects that create catalytic change in neighborhoods seeking holistic revitalization. Since Mr. Crum joined CAPC in 2011, the organization has completed and sold or leased nearly 600 housing. This real estate activity totals more than $150 million of investment in primarily low- and moderate-income communities throughout New Jersey and Florida. Prior to joining CAPC, Mr. Crum worked as Vice President of Real Estate for Build with Purpose, Inc., a non-profit community facilities builder that developed numerous charter school spaces and supportive housing projects. He also spent three years as the Director of Real Estate for New Jersey Community Development Corporation building multifamily supportive housing and community facilities in Paterson, NJ. In aggregate, Mr. Crum has developed nearly $300 million in community real estate projects that have served hundreds of low-income individuals and families. Mr. Crum received a BA in Social Work from Catholic University of America and a Master’s Degree in Public Policy from the Edward J. Bloustein School of Planning and Public Policy at Rutgers University. He is a chair of the City of New Brunswick Planning Board and serves on the Board of Directors for the Elizabeth Coalition to House the Homeless. Mr. Crum was recently selected by NJ Biz as a “Forty Under 40” awardee for his accomplishments in the field of real estate. 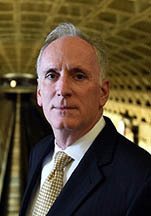 With more than 35 years of public and private sector transportation management experience, Paul J. Wiedefeld, was appointed General Manager and Chief Executive Officer of the Washington Metro in 2015. Since joining Metro Mr. Wiedefeld launched SafeTrack, a massive rail rebuilding effort to bring the rail system to a state of good repair. With this intensive work plan, Metro is accomplishing three years of rehabilitation work within 12 months of time. Prior to joining Metro, Mr. Wiedefeld twice served as the Executive Director and Chief Executive Officer of Baltimore/Washington International Thurgood Marshall Airport (BWI). Under Mr. Wiedefeld’s leadership from 2009 to 2015, BWI grew to becoming the leading passenger airport in the Washington D.C. region through route expansion and significant airport development. During his tenure from 2002-2005, Mr. Wiedefeld managed the largest expansion in the Airport’s history that included the design and construction of a 26-gate terminal for Southwest airlines, an 8,400-space parking garage and a modern consolidated rental car facility. From 2007-2009, Mr. Wiedefeld served as Administrator of the Maryland Transit Administration (MTA), managing day-to-day operations of the nation’s 13th largest transit system, including commuter rail, subway, light rail, buses and paratransit. Mr. Wiedefeld also worked for 10 years as a consultant with the international engineering firm, Parsons Brinckerhoff as the manager of their Baltimore Office. Bob Cotter was the Planning Director for Jersey City for more than 25 years (and 10 mayors). Under his direction, Jersey City adopted more than 80 redevelopment plans, including the City’s MLK Drive Redevelopment Plan, which won the National Planning Award for Advocacy Planning in 1995. During his three and a half decades with the city, Jersey City ascended from the grit of its industrial, railroading and maritime past to become the 15th largest downtown in America. Bob also served as the Planning Director in the City of Orange before his Jersey City service. As a consultant to numerous towns and cities across the state, Bob won awards and funding for projects as diverse as Livingston Town Center and Hope VI housing in Orange, Elizabeth and Bridgeton. Bob served 20 years as chairman of the Redevelopment Committee of NJ-APA, and was elected to the College of Fellows of the American Institute of Certified Planners in 2012. He retired from his position in Jersey City in 2016. Marge DellaVecchia is a licensed city planner and holds both a NJ Professional Planning License and the AICP Certification. She has worked in government for over 30 years; she worked in state government as the Chief of Staff to Department of Community Affairs Commissioner Susan Bass Levin and then as the Executive Director of the NJ Housing and Mortgage Finance Agency from 2002 2010. Marge also served as the Deputy Camden County Administrator and Deputy Director of the Camden County Municipal Utilities Authority for the past six years, and in local government as the Director of Engineering and Community Development for Cherry Hill Township. Marge has always been committed to giving back to the community and has devoted her career to public service on the local, county and state level. She has been a leader and active supporter of local organizations, officials, co-workers and collaborators. She takes great joy in working a project/program to its logical solution and conclusion. Marge recently retired from 27 ½ years in New Jersey government and public service and began a new chapter with PS&S LLC, a full service Engineering/Architectural/Environmental firm serving the public and private sectors. Her experience will help PS&S to support its clients, deliver quality designed projects and ensure that PS&S continues to be a valuable resource to the community. 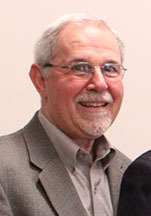 Vito Gallo began his long career in affordable housing and urban redevelopment in his home town of Bayonne, and has worked his entire career in the public sector. Affordable public housing has been at the core of his long career. He served on the National Association of Housing & Redevelopment Officials (NAHRO) Professional Development Committee and as President on the NJ Chapter of NAHRO. Vito spent 35 years of his career in his adopted hometown of Summit, NJ, where he received national attention for the city’s award-winning public housing. In the wake of the passage of the U.S. Housing Act of 1974, Vito turned his attention to the Community Development Block Grant (CDBG) program, and lectured widely on the “devolution of federal housing policies and programs to the local level. In 2005, Vito retired from service in local government, but remained active. He began lecturing as an adjunct professor at the Bloustein School, where he mentored the next generation of planners. He also served as a consultant to local governments and housing providers. During that time he also was elected chair of the APA/NJ Housing Committee that filed an amicus brief with the New Jersey Supreme Court in the matter of the invalidation of the Third Round COAH “Growth Share” regulations. As a Housing Advocate with the Housing & Community Development Network of New Jersey (HCDNNJ), he chaired the Union County Advocacy-Team, and most recently as a contributor to the Together North Jersey’s Fair Housing Equity Assessment, he drew upon lessons learned in his career to propose policies and programs to address racial & ethnic isolation and segregation in Northern New Jersey. Leah Apgar joined New Jersey Community Capital in June 2006 as a Wachovia Bank/Department of Community Affairs Housing Scholar and was hired as a Lending Officer in June 2007. Having been promoted to Lending Team Leader for Housing & Healthy Communities in the fall of 2011, Ms. Apgar is responsible for NJCC’s lending in the housing and healthy communities sectors. Her primary duties include new business development in her target sectors, performing on-going relationship management, and loan underwriting. A Leadership New Jersey Fellow, Ms. Apgar was recognized for her contributions to the community development field in 2011 when she was selected as “Young Professional of the Year” by New Jersey’s Young Community Development Professional Association. She also completed the Opportunity Finance Network’s Citi Leadership Program in 2015. 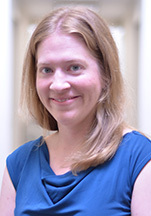 Ms. Apgar holds bachelor’s degrees in Political Science, Economics, and Psychology from the University of Pittsburgh and a master’s degree in Public Policy with a concentration in Community and Economic Development from Rutgers University. She currently sits on the Board of the Friends of Marion P. Thomas Charter School. A native of El Paso, Carlos Gallinar is the son of Mexican immigrants and the first in his family to graduate college. His professional and community service experiences involve the improvement of cities and regions by increasing the quality of life of residents through more sustainable and healthier built-environments. In September of this year, Carlos took a leadership position with the El Paso Independent School District, the largest school district in El Paso. As the Executive Director for Planning and Innovative School Construction, Carlos will lead a group of engineers, architects, and planners to oversee the districts many projects, which include the repurposing of several schools into mixed-used neighborhood amenities, construction of healthier school environments, and implementation of innovative education strategies for classrooms and facilities. Most recently, Carlos served as the Deputy Director for Planning at the City of El Paso, the 19th largest city in the country. 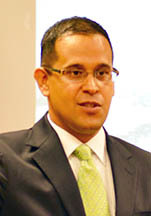 Through Carlos’ leadership and advocacy, the city began to redevelop thousands of acres of land into more sustainable and livable developments, implemented a bus rapid transit system, created policies to promote walkable schools, and re-established the El Paso streetcar system using restored vintage trolleys. Carlos also oversaw the development and implementation of Plan El Paso, a rewrite of the city’s comprehensive plan, that Atlantic Cities (City Lab) called “America’s Best Smart Growth Plan.” Plan El Paso was unanimously approved by both the City Plan Commission and the City Council, and has garnered national and local awards. Carlos also spent a year working at Isles, Inc. a Trenton based environmental and community development organization. Carlos was previously chairman of the El Paso City Plan Commission and is currently a lecturer at the University of Texas at El Paso (UTEP) where he teaches a graduate level course that makes the connection between public health and the built-environment. Carlos is a member of the American Institute of Certified Planners and the Congress for the New Urbanism. Coltrane Stansbury serves as Senior Diversity Analyst in Johnson & Johnson’s Office of Diversity & Inclusion. In that role, he manages a portfolio of projects that support the company’s global diversity strategy, including the Gateway to a Healthy Community Initiative and the United Way National Employee Campaign. He has spent the last fifteen years working in the field of community and economic development, helping to empower families, residents and businesses in some of the most distressed communities nationally. That work has included serving as a Senior Policy Advisor to then Mayor Cory Booker (now U.S. Senator) in the City of Newark, NJ and as a Presidential Management Fellow at the U.S. Department of Labor and the U.S. Government Accountability Office. Coltrane spends much time volunteering in communities throughout New Jersey. He is currently a Board Member of the Civic League of Greater New Brunswick, the United Way of Central Jersey, The Pennington School Alumni Association and the Bloustein School Alumni Association. Coltrane spent the past two years as a volunteer Career Coach for the Johnson & Johnson Bridge to Employment Program, assisting high school students in Plainfield prepare for college and beyond. He holds a Master of Public Policy degree from Rutgers University’s Bloustein School, where he was an Eagleton Fellow. Coltrane also holds a Certificate in Public Performance Management from Rutgers University. A native of Trenton, Coltrane resides in Edison, NJ with his family. 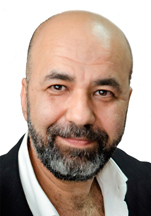 Prior to founding NAGA ARCHITECTS in 2000, Dr. Shams Naga spent several years in academia, teaching at several universities in the United States and the Middle East; he obtained an architecture license after working with notable architecture offices in the Philadelphia area. Thanks to a well-balanced approach between practice and discipline, NAGA ARCHITECTS has won numerous design awards and has become one of the top A/E firms in the Middle East. The firm has its headquarters in Dubai, and offices in Abu Dhabi, Al Ain, Riyadh, Doha, and Tripoli. Beyond the Middle East, NAGA has a growing subsidiary in Boston, MA, and has recently opened a branch in Toronto, Canada. Bob Nardi is a Senior Vice President with Louis Berger, one of the largest consulting firms in the world. 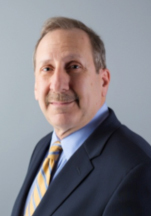 Mr. Nardi joined the company in 1980 and over the past 30+ years has directed hundreds of planning and environmental assessment studies of major public works and infrastructure projects throughout the U.S. and the world. He has been instrumental in the growth of Louis Berger from a firm with fewer than 50 U.S. employees to over 1,000 today. During his career with Louis Berger, Bob has been involved in projects in Africa, Asia and the Middle East having spent considerable time working in Qatar and India. He is also an expert on preparing environmental impact studies and associated documentation in accordance with the federal and state statutes and regulations. This expertise has been gained over a 40-year period during which he has led the planning, siting, and development of over 100 federal and state institutions in over 40 states and Puerto Rico. Bob also oversees the Louis Berger Graduate Fellowship which since 2010 has financially supported 24 Bloustein students as well as employing them as summer interns on Louis Berger projects in Europe, Latin America, Africa, the Middle East, and Asia. Don Free is a Program Director in the Aviation Department at the Port Authority where he is responsible for redevelopment of the non-passenger components of JFK Airport such as hotels, cargo, and other commercial buildings. Most recently he lead the development team for the restoration of the historic TWA Flight Center into an airport hotel. Don is also responsible for the Airport Access Program, which includes all modes of airport ground transportation (parking, taxis, shared ride, HOV buses and Welcome Centers) at four Port Authority airports. He is the lead for airport exchange program with Tokyo’s Narita Airport Authority. Previously Don was the Deputy Director of the World Trade Center Redevelopment Department and worked on the restoration effort for about eight years. The Department was responsible for the commercial portions of the WTC including the five office towers, retail, site planning, operations and security planning, involvement in the WTC commercial design guidelines and negotiating a host of various agreements with other public and private WTC stakeholders. Prior to the Port Authority Don worked as a planning consultant for the Louis Berger group and Weyerhaeuser Real Estate. He has an MBA in addition to the MCRP and resides in Edison. 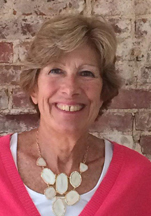 Susan Gruel is a partner in the planning consulting firm of Heyer, Gruel & Associates and has been involved in community planning for over 35 years. The firm has received numerous planning awards both nationally and statewide. Susan’s planning work has included a broad spectrum of planning projects from affordable housing to regional strategic plans. Her passion and principal focus has been redevelopment, authoring numerous studies and plans as well as publishing articles on redevelopment. She formerly was on the Township Council of Bridgewater and has wide experience and personal knowledge of the mechanics of local government and consensus building. She teaches continuing education courses in land use planning to municipal officials throughout the State. An instructor at the Bloustein School of Planning and Public Policy at Rutgers University for the last 13 years, Susan’s contribution was recognized with the Rose Excellence in Teaching Award, where she teaches Comprehensive Planning with her partner Fred Heyer. Deeply committed to the service role of the university, he serves on numerous advisory boards and panels, including chairing the NJDEP Science Advisory Board for Public Health. He is also on the Board of Directors of GreenFaith, World Information Transfer and the National Board of Public Health Examiners. Mark is the director of two major international projects, the NIH funded Rutgers Thai Fogarty Center at Chulalongkorn University in Bangkok, Thailand, and the Rutgers portion of the USAID RTI Science, Technology, Research, and Innovation for Development (STRIDE) Program in Manila, The Philippines. He was instrumental in developing the first environmental risk assessment course in SE Asia; initially funded by the Asian Development Bank (ADB), the course is now offered by the Chulalongkorn University Multidisciplinary Graduate Program in Environmental Management, and to date over 600 students have taken this class. Mark and colleague Bill Toscano are editors of the most widely used environmental risk assessment textbook, Risk Assessment for Environmental Health, used in 80 programs in 16 different countries and has become the standard text in most schools of public health. He is a Fellow of the American Association for the Advancement of Science (AAAS), the Academy of Toxicological Sciences, and the Collegium Ramazzini. Mark was awarded an Honorary Doctoral Degree in Public Health from Chulalongkorn University in 2010 for his contributions in teaching and research to Chulalongkorn University and to the People of the Kingdom of Thailand; the degree was conferred by Her Royal Highness Crown Princess Maha Chakri Sirindhorn. Dan Kennedy currently serves as Assistant Commissioner for Water Resources Management at the N.J. Department of Environmental Protection (NJDEP). In this role, he is responsible for the Divisions of Water Supply & Geoscience, Water Quality and Water Monitoring & Standards. He currently serves as the Governor’s Designee to the Delaware River Basin Commission, the Commissioner’s Designee to the NJ State Planning Commission, the Environmental Infrastructure Trust and the Economic Development Authority and previously as Burlington County’s Designee to the NJ Pinelands Commission. Kennedy has additional state-level public service at the NJ Dept. of State – Office for Planning Advocacy and at the N.J. Department of Agriculture as a staff member of the State Agriculture Development Committee. These state-level positions are complemented with experiences at the local and regional level: managing Burlington County’s nationally recognized Agriculture Retention and Development Program, serving as staff to the Monmouth County Planning Board, serving on his local Planning Board and Environmental Commission. Prior to receiving his MCRP from the Bloustein School, he earned a BS from the University of Delaware in Environmental Science. His formal education was complemented by attendance at Columbia University’s Biosphere II Field Studies Program, a study – teach experience at the University of Pretoria in South Africa, and a term of service in the AmeriCorps. He is a licensed N.J. Professional Planner and is certified by the AICP. A proud and life-long New Jersey resident, Dan currently resides in Bordentown City with his wife and two daughters. Courtenay D. Mercer, AICP, PP is the New Jersey Director of the Regional Plan Association, leading the organization’s research, planning, and advocacy activities in the state. Prior to joining RPA, Courtenay owned a private planning consulting firm and was formerly Director of Planning at the NJ Office of Smart Growth (now Office for Planning Advocacy). She has overseen myriad planning projects, and has been involved with the formation, review, and/or implementations of major NJ policy initiatives, including the State Plan, the Highland Regional Master Plan, and the State TDR program. Specializing in strategic engagement, one of Courtenay’s core assets is her ability to coordinate diverse stakeholders and garner inter-governmental coordination for complex planning projects. 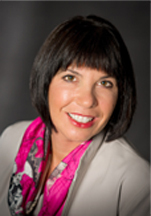 Courtenay also currently serves on the American Planning Association (APA) Board of Directors and is Past-President of the NJ Chapter of the APA. Courtenay lives in Jersey City with her husband Barry Moraller and their 7 year old daughter Tennyson. 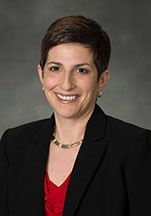 Sara Meyers currently serves as the Chief of Staff for the Federal Housing Administration (FHA)/Office of Housing at the US Department of Housing and Urban Development (HUD). In this role Sara oversees and advises the Commissioner on the management, policy development, and communications work of the organization. Prior to joining FHA, Sara served in several capacities at HUD, focusing primarily on performance and accountability frameworks as a means of driving mission achievement. Most recently, in her role as the Director of the interagency Hurricane Sandy Program Management Office Sara was responsible for monitoring the performance of nearly $50 billion in Sandy recovery funding, as well as the implementation of a series of groundbreaking policy initiatives designed to both increase community resilience and improve government response to future disasters. Prior to her work on Sandy, Sara co-developed and implemented HUD’s performance management framework known as “HUDStat” and was responsible for monitoring the use of more $13.5 billion in economic stimulus funding. For her work on these and other initiatives Sara was awarded the 2014 Samuel J Heyman Service to America “Call to Service” medal, which recognizes a new generation of outstanding federal employees whose work is advancing the health, safety, and well-being of Americans. Sara is a native New Yorker and holds a BS from the University of Massachusetts at Amherst and a Master’s in Public Policy from the Edward J. Bloustein School of Public Policy at Rutgers. Joseph Burgis has been actively engaged in the field of planning for over 35 years. He founded Burgis Associates in 1988 and has extensive experience in both private and public planning matters, having testified before hundreds of municipal approving authorities and governing bodies and recognized as a planning expert in New Jersey Superior Court and in New York. Joe has extensive knowledge in land use planning, the preparation of comprehensive master plans, and related planning studies. He is considered a leading expert on affordable housing (COAH) and redevelopment issues, as well as RLUIPA matters. He has been a guest speaker at the New Jersey League of Municipalities Convention, American Planning Association’s National Convention, Institute of Continuing Legal Education, New Jersey Municipal Managers Association, Commerce and Industry Association of New Jersey, Bergen County Bar Association, and various forums on affordable housing and redevelopment. He also devotes time, under the auspices of the New Jersey Planning Officials organization, instructing new planning and zoning board members on their responsibilities, and is a past member of the State Board of Professional Planners. Both he, and Burgis Associates, have received numerous awards and recognitions for their work in the field, including multiple Planning Achievement and Comprehensive Planning Awards from the New Jersey Planning Officials. Retired Senior Executive, Weyerhaeuser, Inc.
Lawrence B. Burrows has 38 years of experience in real estate consulting, real estate development and wood products manufacturing. 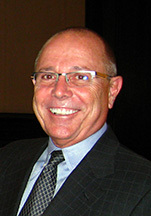 Much of his experience was gained with The Weyerhaeuser Company where he served in a variety of positions, including as President of Winchester Homes, a regional homebuilder; President and CEO of the Weyerhaeuser Real Estate Company, a top 20 national homebuilder; and Senior Vice President of Wood Products, the second largest global wood products company. He is presently a visiting Senior Planning Fellow at the Bloustein School where he is teaching real estate development studio. Larry serves on the boards of Tri Pointe Homes, a top 10 national homebuilder; and the Chesapeake Multicultural Resource Center, which empowers people from different cultures to become successful community members. 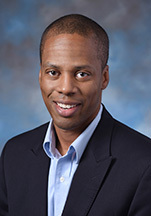 Larry received his BA in Urban Studies from Rutgers University, his MCP from the University of Pennsylvania, and is a graduate of the Advanced Management Program from the Wharton School of Business. He is the author of Growth Management: Issues, Techniques and Policy Implications. Larry and his wife Dawne Widener-Burrows reside in Annapolis, Maryland. 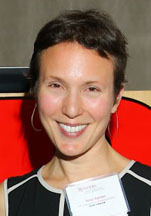 Nina Haiman is the Deputy Manhattan Borough Commissioner at the New York City Department of Transportation. Nina joined DOT upon graduation and worked in the Office of Strategic Planning, the office that wrote the Transportation section of PlaNYC, Mayor Bloomberg’s 2030 sustainability blueprint for the city. Following that, Nina worked in the policy unit in the Commissioner’s Office, contributing to major policy initiatives like bike share. For the last three years she has been at the Manhattan Borough Commissioner’s Office, where she has been actively engaged in coordinating and building support for the agency’s safety, bus and bicycle projects throughout the borough. 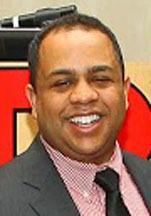 Jason Redd currently serves as Deputy Executive Director and General Counsel to the New Jersey Senate Majority Office. In this role he is responsible for advising the Senate President and members of the Democratic Caucus on legal and policy issues. He previously served as chief of staff to Senate Majority Leader Loretta Weinberg. Jason has spent his legal career in public service. After completing law school, Jason clerked for the Honorable James A. Farber, J.S.C and then worked for Speaker Joseph Roberts of the New Jersey General Assembly. Prior to coming to the Senate, Jason served as Deputy Policy Director to Governor Corzine during his 2009 reelection campaign. Education and access to health care have always been important issues to Jason. 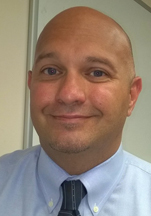 He currently serves as Vice President of the Trenton Board of Education and also serves as a board member of the Mercer County chapter of the National Alliance on Mental Illness. He holds a law degree from Brigham Young University. Currently, Jason resides in New Jersey’s Capital City with his puppy, Jackson. President, Community Investment Strategies, Inc.
Christiana Foglio spearheads and oversees all of Community Investment Strategies (CIS), Inc.’s fully integrated real estate activities including multi-family housing, mixed-use redevelopment, market-rate, and affordable housing. An industry veteran with more than 30 years experience in the private and public sectors, she specializes in real estate developments and affordable housing initiatives that reflect each community’s vision, needs and character. 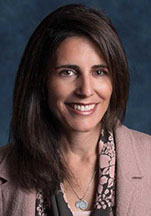 Prior to forming CIS, Chris served on behalf of two governors as Executive Director of the New Jersey Housing and Mortgage Finance Agency, where she was responsible for over $1 billion of multi-family bond financing and is credited with creating the state’s Housing Policy as well as national awards for innovative state housing initiatives. She also was appointed by Governors Florio and Whitman to serve as Chair of the New Jersey Council on Affordable Housing. Prior to joining NJHMFA, she served as President of the New Brunswick Development Corporation, a not-for-profit real estate development company located in New Brunswick, NJ, implementing over $300 million of urban redevelopment projects, reporting to the board of directors of J&J companies. Chris is also credited with creating the foundation of New Brunswick’s economic rebirth. A licensed planner in the State of New Jersey, she is a highly sought-after guest speaker who has garnered numerous business and industry awards, including the PlanSmart NJ Van Zandt Community Involvement Award; Urban Land Institute’s Edward J. Bloustein Award for Exemplary Achievement in Civic Leadership; New Jersey Business of the Year; Top Woman-Owned Business in New Jersey; and among the Top Women in Business. On January 8, 2011, Dan Benson was selected by the Democratic Committeemen and women of the 14th Legislative District to fill the Assembly vacancy left by Linda Greenstein’s election to the New Jersey State Senate and was elected to a full term to the Assembly in November 2011, becoming the youngest elected Councilman in Hamilton’s history. On his first day in office, he was chosen by his fellow members of Council to serve as President, a position he held for two years. On the Council, Dan increased the police force to ensure that Hamilton would be one the country’s safest communities. He adopted an open space and recreation plan that increased the state and local funding available to the Township, which led to funding for projects such as the preservation of Ellis Farm and the purchase of the Braghelli Tract, significantly expanding Hamilton’s Veterans Park. He has worked to protect Hamilton’s youth by improving school zone traffic safety while improving road safety by banning trucks on local roads, and pushing for speed humps and other traffic infrastructure improvements. In 2008, Dan Benson was appointed to the Mercer County Board of Chosen Freeholders to an unexpired term and won a special election in November 2008; he was re-elected for a full term in 2009. Outside his elected office, Dan is the Past President of the Kiwanis Club of Hamilton Township. He is a member of the Board of the Henry J. Austin Healtch Center, the Young Professionals Board of Robert Wood Johnson Hospital at Hamilton, and the Benevolent and Protective Order of the Elks Lodge #2622. He is Vice President of Friends of the Hamilton Township Library, a Life Member of the American Council of Young Political Leaders, and an Alumnus of Leadership New Jersey. Dan earned his MPP from the Bloustein School in 1999. 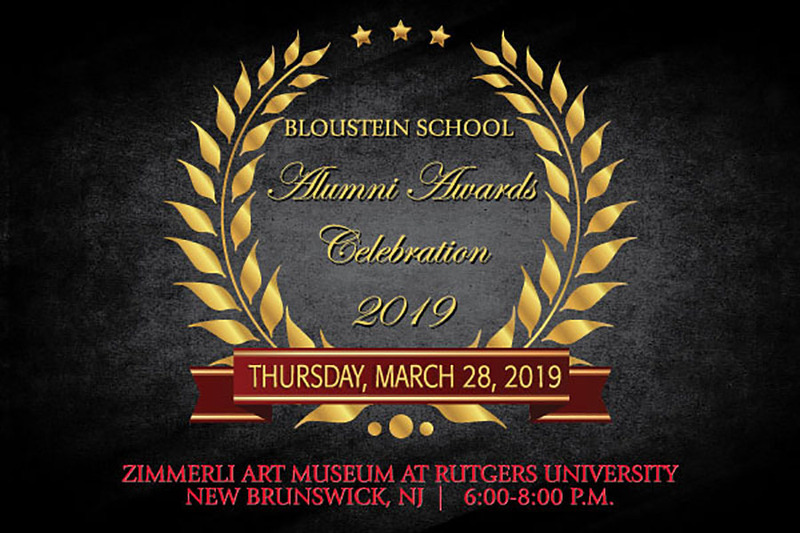 Since 1994, the Alumni Awards Celebration has recognized Bloustein School alumni who have made exemplary contributions to their professions and communities, while demonstrating support of the Bloustein School. The Bloustein School Alumni Association Hall of Fame was inaugurated in 2013 to showcase and honor the current and all previous recipients of alumni awards. Dr. James W. Hughes is the dean of the Edward J. Bloustein School of Planning and Public Policy, appointed to that position in 1995. He has been a member of the faculty since 1971. In addition, since 1988 he has been the Director of the Rutgers Regional Report which, during its 24-year tenure, has produced 35 major economic/ demographic/ housing studies on New Jersey and the New York region. 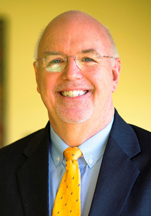 Dr. Hughes is a nationally-recognized academic expert on demographics, housing, and regional economics, and was a contributing editor to American Demographics from 1982 to 1996. He is author or co-author of 33 books and monographs and more than 150 articles, generally focusing on housing, demographics and economic development patterns. Among these are The Atlantic City Gamble, The Dynamics of America’s Housing, America’s New Market Geography, and America’s Demographic Tapestry: Baseline for the New Millennium. In 2011, he received the Richard P. McCormick Award for Rutgers Excellence in Alumni Leadership. Harvey S. Moskowitz worked as a professional planner for over 50 years on the local, county, state, and regional levels. He headed his own firm of Harvey S. Moskowitz & Associates and later Moskowitz, Heyer & Gruel for over 40 years. In addition to scores of master plans, technical reports, and zoning codes prepared or directed as part of his work as a planner, he has authored or co-authored numerous articles, monographs, and chapters in books relating to planning and land use including “A Guide for Residential Design Review” with Carl Linbloom, Site Plan Manual, and The Latest Illustrated Book of Development Definitions, also with Carl Linbloom. He has worked in over 200 municipalities throughout the U.S. during his career, and was a guest lecturer in strategic planning in the Republic of China in 2001. 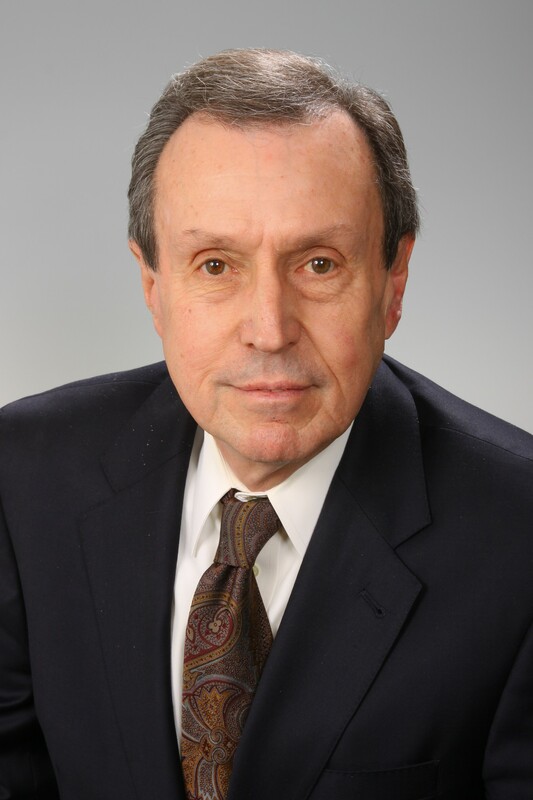 Dr. Moskowitz was a charter member of the NJ Site Improvement Authority Board from 1993 to 2002, served as a director on the national board of the American Planning Association from 1986 to 1990, and served on the NJ Board of Professional Planners from 1975 to 1980, including a term as president from 1978-1979. He was awarded the Distinguished Service Award from the NJ Chapter of the American Planning Association in 1983. Maureen Ogden served as mayor of Millburn, NJ from 1979 to 1981 after serving as the township’s deputy mayor from 1976 to 1979. She was elected to the New Jersey General Assembly to represent the 22nd District in 1981 and was re-elected to an additional four terms of office. She was redistricted to the 21st District following the results of the 1990 Census, and was elected to two terms there. During her tenure, she served as Chair of the Committee on Conservation, Energy and Natural Resources, Chair of the Committee on Arts, Tourism, and Cultural Affairs, as Vice Chair of the Financial Institutions Committee and the Drug Abuse Committee, and as a member of the Health, the Conservation and Natural Resources, and State Government Committees as well as the New Jersey State Council on the Arts. In 1992, Ms. Ogden co-sponsored a bill that would make New Jersey the first state to require its entire fleet of motor vehicles to use remanufactured or retread tires. In 1994 she supported the creation of a $350 million fund that would be used to acquire open space and for farmland and historic preservation and was chief sponsor of a bill in the General Assembly that would give adoptees the opportunity to get access to their original birth certificates. As chair of the Governor’s Council on New Jersey Outdoors in 1998, Ms. Ogden targeted raising $1 billion over the next 10 years to be used to preserve 1 million acres of farmland and open space. The recipient of numerous awards and honors, she was recognized as Legislator of the Year by the Cogeneration Institute of A.E.E. ; was the recipient of the President’s Conservation Achievement Award from The Nature Conservancy and the Public Policy Award from the National Trust for Historic Preservation; received a Distinguished Service Award from the N.J. Audubon Society; was recognized as Legislator of the Year by the N.J. Conservation Foundation; and was presented the Public Sector Preservation Award by the N.J. Historic Trust. Shirley M. Bishop is a licensed professional planner who is president/owner of her Princeton-based consulting firm, specializing in the affordable housing field and offering consulting services to both municipal and private clients including for-profit and not-for-profit developers. 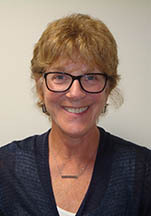 She served as the Executive Director of the New Jersey Council on Affordable Housing (COAH) from 1994 to 2002 and was responsible for making recommendations to an 11 member COAH board regarding policy, municipal low and moderate income housing plans, regional contribution agreements (RCAs), development fee ordinances, monitoring and motions. Shirley began her career in the Housing Section of the Middlesex County Planning Board in 1979 and became the Executive Director of the Middlesex County Public Housing Agency and Housing and Community Development Office in 1985. Connie O. Hughes was President and Commissioner of the New Jersey Board of Public Utilities (BPU), serving from July 2001 to June 2007. Prior to her BPU appointment, Ms. Hughes was the Governors’ Chief of Management and Policy responsible for policy development and implementation across all state agencies, as well as managing the cabinet on a day-to-day basis. Previously, she was employed at the New Jersey Department of Labor for over 20 years, where she was the first person to rise through the ranks to be appointed the Deputy Commissioner in 2000. Her commitment to public service in New Jersey is well recognized. She was honored by the Executive Women of New Jersey; named one of Who’s Who of New Jersey top business executives; received the Women’s Political Caucus of New Jersey Achievement Award, the American Society of Public Administrators Achievement Award; and named a Distinguished Woman in Labor. A prominent and active member of many organizations, Redenia Gilliam-Mosee served as the vice president for government relations and planning at Bally’s Park Place and Atlantic City Hilton casino hotels. As community and government liaison, she supervised the distribution of $400,000 a year in casino money to more than 50 regional charities, community groups, ethnic and cultural festivals. She was president of the Atlantic City Boys and Girls Club and chairman of the Atlantic/Cape May County Private Industry Council and was elected chairman of the Greater Atlantic City Chamber of Commerce, a position not previously held by a female in the club’s 75-year history. She was also the first woman to lead the Greater Atlantic City Area Chamber of Commerce board of directors. Ms. Gilliam-Mosee was instrumental in the planning and supervision of the construction of Atlantic City’s first casino-financed middle- and low-income housing project, Jacobs Family Terrace and helped establish a low-interest mortgage program for casino employees wanting to buy houses in the city. Ms. Gilliam-Mosee passed away in January 2010 at the age of 60. Elizabeth C. McKenzie (Betsy) is a professional planner who has been the president of her own planning consulting firm since 1980. 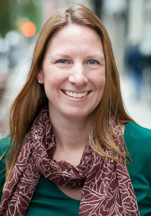 Betsy is a member of the American Institute of Certified Planners and the American Planning Association, and she serves on both the New Jersey Site Improvement Advisory Board and the Board of Counselors of New Jersey Planning Officials. Much of Betsy’s work has focused on the area of affordable housing planning and compliance. Not only has she appeared in Superior Court as an expert witness on behalf of municipalities and developers involved in affordable housing litigation, but also she has, on more than two dozen occasions, been appointed by the Court as the Special Master in a Mount Laurel lawsuit. She has also served as a Court-appointed Mediator in other land use related lawsuits. 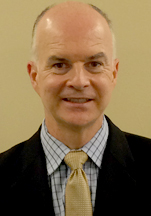 Robert W. Burchell is a Distinguished Professor at the Edward. 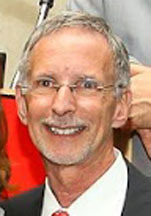 J. Bloustein School of Planning and Public Policy and Co-Director of the School’s Center for Urban Policy Research. The author of 30 books and more than 50 articles, he is an expert on fiscal impact analysis, land-use development and regulation, and housing policy. Dr. Burchell has served as principal investigator on more than $4 million in research spanning a thirty-year career at Rutgers. One of these efforts included the Impact Assessment of the New Jersey State Development and Redevelopment Plan, as well as “costs of sprawl” studies for the state of Maryland, the Lexington (KY) Metropolitan Area, the Delaware Estuary, the Southeast Michigan Council of Governments, and the South Carolina Advisory Commission on Intergovernmental Relations. Dr. Burchell is also a licensed professional planner in New Jersey. David Listokin is a Professor at the Edward J. Bloustein School of Planning and Public Policy and Co-Director of the School’s Center for Urban Policy Research. He is a leading authority on community and fiscal impact analysis, housing policy, land-use regulation, and historic preservation. He has written and edited 25 books, including The Subdivision and Site Plan Handbook, Development Impact Assessment, The Fiscal Impact Handbook, Living Cities, Landmarks Preservation and the Property Tax, and Mortgage Lending and Race. Over the past two decades, Dr. Listokin has served as principal investigator for a wide range of clients, including the U.S. Department of Housing and Urban Development and the Department of State, the National Trust for Historic Preservation, Fannie Mae Foundation, and the Twentieth Century Fund. Dr. Listokin’s model residential subdivision and site plan ordinance, co-authored with Carole Walker, has been adopted by New Jersey as the statewide uniform code. James Bach, The Louis Berger Group’s Chief Operating Officer, has been with the firm for 27 years, starting his career as a senior planner. Before his appointment as COO, Mr. Bach was responsible for LBG’s U.S. operations. As COO, he is responsible for the day-to-day operations of the firm’s business segments and for a major upgrade of the firm’s systems of internal controls. He also serves as the principal-in-charge for the Port Authority of New York and New Jersey’s reconstruction of the World Trade Center site, where LBG is the Port Authority’s program manager. Mr. Bach is a Professional Planner in New Jersey and holds an MCRP in City and Regional Planning from Rutgers University. An expert in transportation planning, James Crawford has more than 35 years management experience in public and private transportation positions. He is the Principal for Integrated Transportation Finance Group, an independent consultant advising States, Toll Agencies and other Consultants on Toll Financing and Operations. Most recently he served as executive director of E-ZPass IAG, the association that manages electronic toll collection in 14 Eastern states. From 1994 to 2005, he served as executive director of the South Jersey Transit Authority, which operates the Atlantic City Expressway and Atlantic City International Airport. Jim started his career with the New Jersey Department of Transportation in 1974, steadily working his way up to becoming Assistant Commissioner for Policy and Planning, a position he held for seven years. He is a former Naval Reserve Officer, having served at the Pearl Harbor Naval Shipyard. Nicholas Masucci began his professional career with Louis Berger & Associates, Inc. (which would later become The Louis Berger Group, Inc.) as a planner, where he led the effort in preparing the solid waste management plan for Abuja, the new capital city of Nigeria, and master development plans for three principal cities in Yemen. 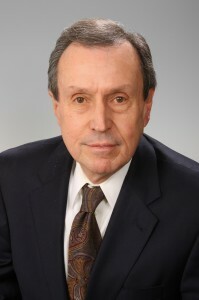 After spending time as a senior planner with the Middlesex County Planning Board in New Brunswick, Mr. Masucci returned to The Louis Berger Group, where he eventually led the firm’s domestic Economics and Environment Group, pioneering the development of analytical techniques to assess the impacts of major public works construction projects. In his current role as president and CEO of Berger Group Holdings, Mr. Masucci is responsible for the strategic direction and financial oversight of the Group’s companies, which comprise more than 5,000 architects, planners, engineers, economists and environmental scientists across the United States and in 140 countries worldwide and collectively generate revenues of upwards of $1 billion annually. He was instrumental in establishing the Louis Berger Fellowship program at the Bloustein School, under which students are selected annually for financial support and to assist Louis Berger Group staff on transportation, agricultural development and poverty alleviation assignments around the world. Robert G. Sommer is president of Rock Entertainment Management, a holding company for the organization that owns the New Jersey Devils National Hockey League franchise and Prudential Center in Newark, New Jersey. He is responsible for the marketing, communications, and public affairs operations for the team and the arena. In addition, he directs the Institute of Planning and Public Policy Communications at the Bloustein School, where he is a lecturer teaching graduate-level public affairs and media relations courses. 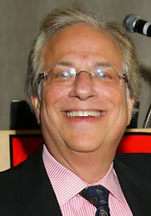 Previously, he was president of Observer Media Group, where he was responsible for managing all business and sales operations for OMG’s media properties, which include The New York Observer and Politicker.com. He now serves on OMG’s board of directors. Anthony Marchetta, a New Brunswick native, is co-founder of the Bloustein School Alumni Association and a longstanding member of the RU Alumni Relations Advisory Board. He chaired the George Street Playhouse board in its formative years and was responsible for acquisition and preservation of the landmarked Cornelius Low House in Piscataway. He has over 35 years of experience in the public and private sector. Most recently, he was Vice President of LCOR Inc., where he developed multifamily and mixed use projects within the Mid-Atlantic region. As an executive at LCOR, he managed the development of Gaslight Commons, a 200-unit luxury rental project in the “Transit Village” of South Orange, NJ. This project won the first New Jersey Future “Smart Growth Award” in 2002. Marchetta has also worked for Matrix Development Group and Baker Residential Inc. where he managed teams of attorneys, engineers, architects, environmentalists, and planners seeking approvals for both residential and commercial developments. He has 13 years of public sector service, including 10 years serving as Executive Director of the Middlesex County Department of Housing and Community Development.